The teaser of VIP actor’s next film will be revealed along with big Diwali releases in theatres. Tamil superstar Dhanush is going through a golden period in his career. The actor who is riding high on the success of his latest blockbuster Velai Illa Pattadhari, has his hands full with R Balki’s Shamitabh with the great Amitabh Bachchan and KV Anand’s Anegan. The latest confirmation we got from the actor is that the teaser of Anegan is set to release this Diwali. ” ANEGAN teaser will be out on Diwali in theatres and you tube :) so excited”. 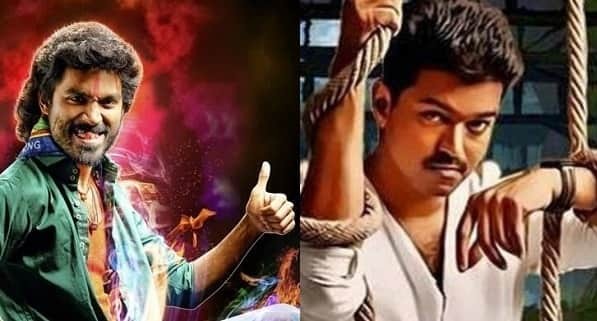 Though the actor did not mention the film’s name along which the teaser would be attached in theatres, it is quite evident that Anegan teaser would be unveiled along with Illayathalapathy’s Vijay Kaththi. VIP actor seems to be fairly excited about AR Murugadoss’ Kaththi as he tweeeted,” Can’t wait for Kathi first day first show :) 5 more days to go !!!! #diwali #festivalrelease #tradition”. Though delay in release of Vikram’s I may have dampened the spirits a little this Diwali, but with Dhanush’s Anegan teaser set to be out during the festival of lights, we expect the zing around the Diwali release to be back.